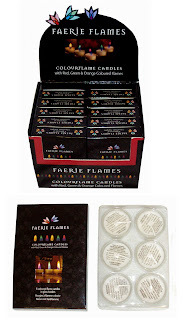 X09 325 (7006) Faerie Flames pack of six candles. 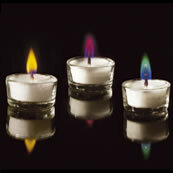 Two in each of red flame, green flame and orange flame colours. 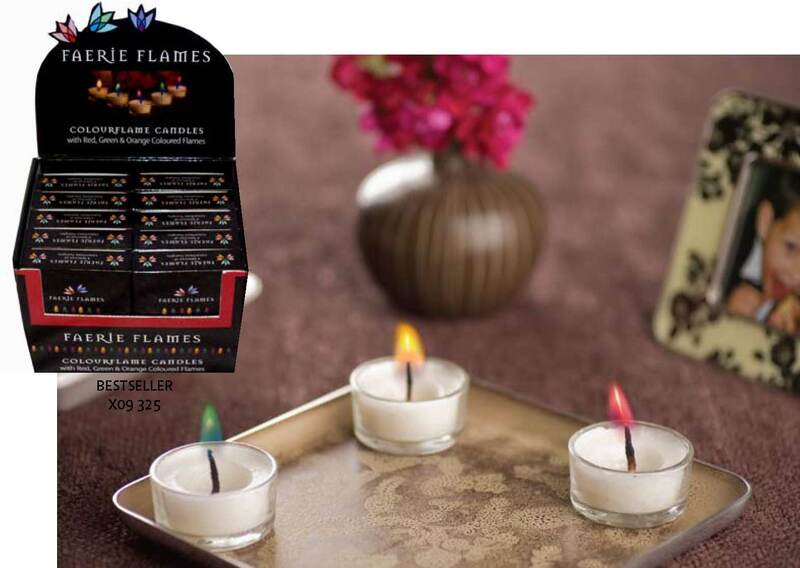 These candles are in little glass holders and will burn for up to an hour each. 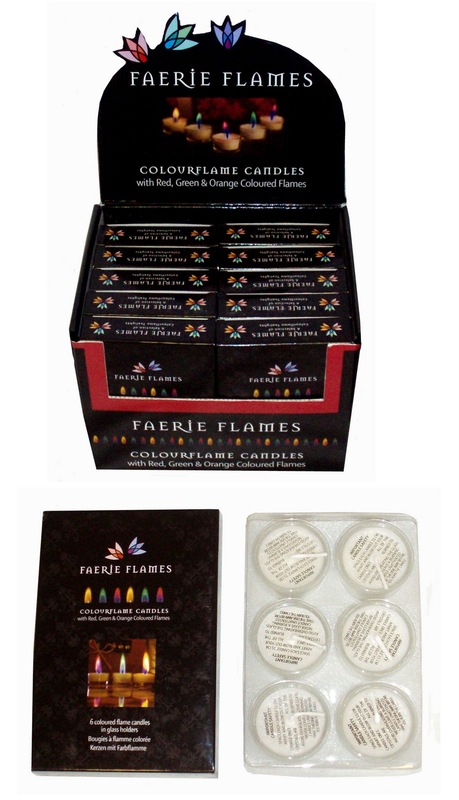 Inner: 1 display/24 boxes Carton: 2 displays/48 boxes. X09 490 (7033) Three orange flame candles in glass holders. Inner: 6 boxes. Carton: 96 boxes.